Ownership / Access: National property. 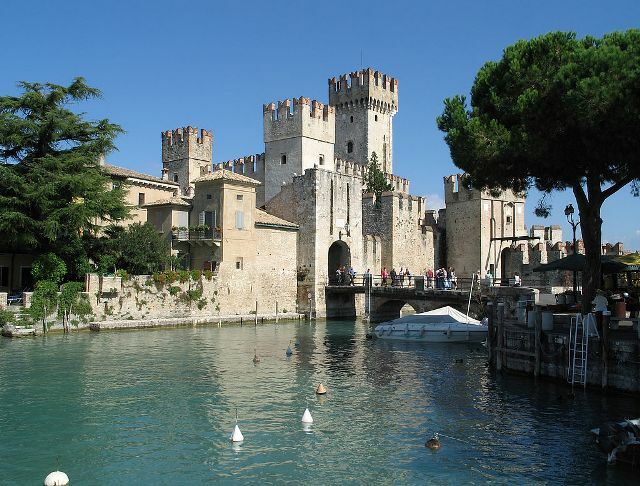 Notes: Castello Scaligero of Sirmione is a fortress of La Scala era, single point of access to the historic center of Sirmione. It is one of the most complete and best preserved castles in Italy, as well as a rare example of lake fortification. In 2014 was the twenty-seventh most visited site Italian state, with 224,498 visitors and a total gross income of 555,768 Euro.